You can often tell a lot about someone by what they think of others. 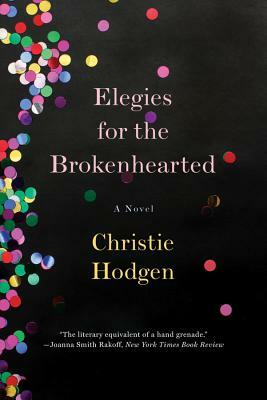 In Christie Hodgen's novel, there are five elegies written by Mary Murphy about five people who had an influence on her life. The prose is powerful and compelling, as more is revealed about Mary's own difficult life. This book will knock your proverbial socks off! Who are the people you'll never forget? For Mary Murphy, there are five, eulogized here in an utterly unforgettable voice. Mary tells the story of her own life--her childhood spent trading one home and father figure for another, her efforts to track down her rebellious sister, and her winding search for purpose--through her experiences and encounters with the people who shaped her path. The result is an unconventional and moving story about identity, family, and belonging.